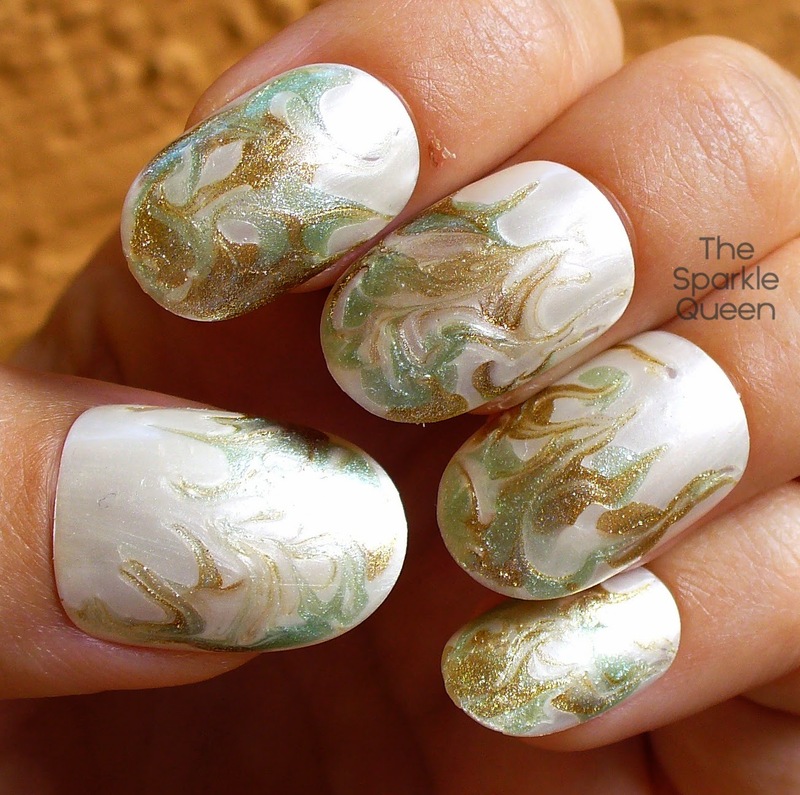 marble”, or “waterless water marble” nail art technique. uploaded her original tutorial on how to do it. since any polish can be used with this technique. This looks great!! Awesome colors! I LOVE that color combo! It reminds me of feathers–and with the naturalness/fluidity of the lines, for some reason it also reminds me of Rococo art or something. 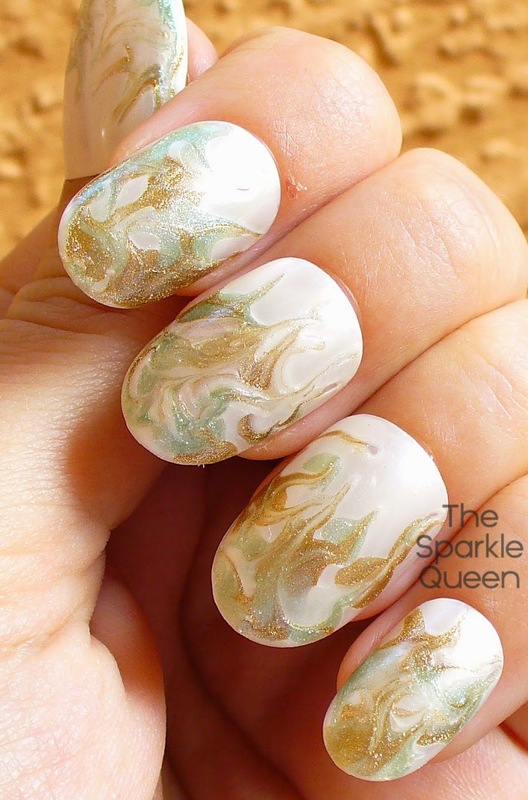 The colors in this are so very gilded forest – and I love the smokey effects in the marbling! looks like white flames very pretty! I like it and the colors looks great together.